February in Phoenix/Scottsdale is just on the cusp of high season. Tacking on some touring after a business trip, we found things geared up, but not so busy we couldn't grab a table at a hot spot or make last minute tour plans! We had an unseasonably cold weekend, but that made it comfortable to take in some of Arizona's unique and popular attractions. We stayed at the Scottsdale Plaza for the business, where we had a 2 room comfortable villa with a kitchenette (for a phone call and $20 fee I was able to get a microwave delivered in 10 minutes and prepare breakfast and lunch daily, saving on the meals budget) We extended our stay there, doing day trips from our Scottsdale base. We found the resort to be well located for exploring the area, but it requires a rental car or using uber to get around. 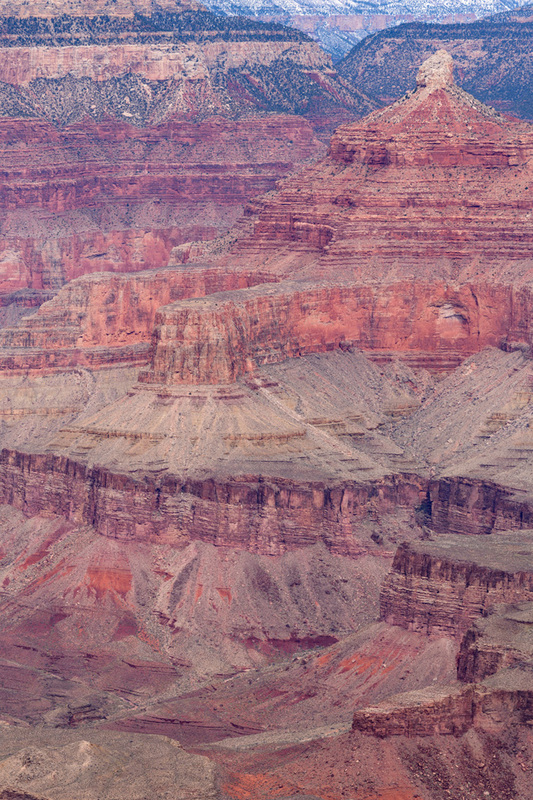 Choose how you'd like to visit the Grand Canyon. Stay in Grand Canyon Village or in the canyon- book and plan well in advance, reservations for hotels and campsites are usually fully booked one year in advance, many are assigned by lottery. For National Park property reservations contact Xanterra who handles the concessions at the park. Tour with a group that has already booked rooms in the Grand Canyon Village, this is usually fully guided tour and will add cost but value to your visit, as well as handling all the logistics. Visit the the quieter North Rim, which is only open seasonally, but far less crowded. Some of the native groups have lodges and attractions on their property where you can visit and explore the Grand Canyon. 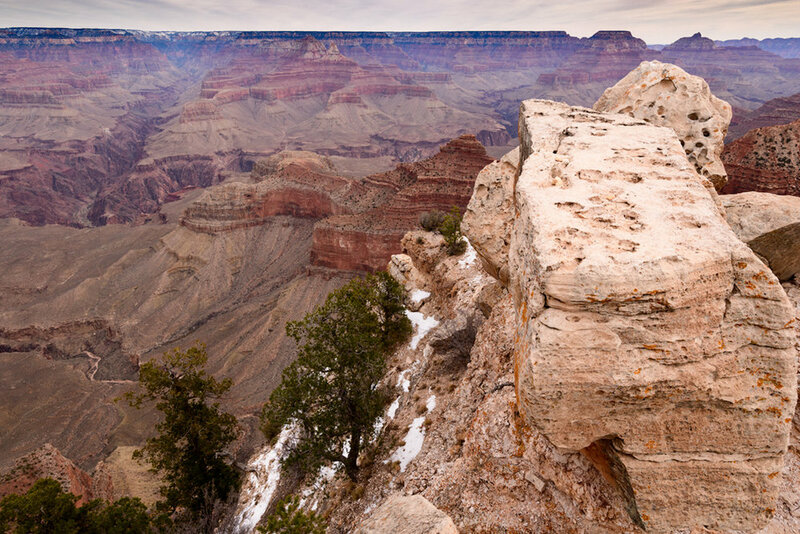 One popular attraction is Grand Canyon Skywalk. Fly from Phoenix/Scottsdale or Las Vegas. We flew with Westwind Air Service who handled our flights and tours seamlessly and safely. A big decision to make, is how to explore the Grand Canyon. There are several ways to experience Arizona's biggest tourist attraction. We considered a stay in Grand Canyon Village in the National Park. This generally requires a lot of advance planning, since many of the properties book up completely a year in advance. Because we were planning in February, when the weather at the Grand Canyon is very cool, we were able to find a room at the Kachina Lodge available at the last minute, but we couldn't make reservations at El Tovar or the El Tovar dining room for dinner. In the end we decided to do a fly in trip from Scottsdale with Westwind Air Service. This was an excellent choice, because it allowed us to spend less time relocating and driving during a short weekend trip, and as I posted here on our blog Sometimes You Have To Get High! There is nothing more spectacular than seeing a wild landscape from the air. We signed up for a Grand Canyon Signature Tour - South Rim with Pink Jeep Ground tour. Westwind Air and Pink Jeep provided a seamless experience. We arranged for a pick up at our hotel lobby, we transferred to a small airport, where we met out pilot, had a safety briefing and enjoyed a narrated flight north through Sedona, by the painted dessert and over the Ponderosa pine forests. We had a 30 minute flight seeing tour over the Grand Canyon, circling so everyone could see both sides of the canyon. Ponderosa Pine Forests, from the air I could see animal tracks in the snow, likely elk herds. The "painted desert" in the distance...we were reminded that the "paint" is the sun, and the photographers capturing it are spending hours looking for just the right light! We also learned about the "islands" and "rivers" of vegetation in the desert where just a slight elevation allows growth of trees and shrubs. Once we landed at the Grand Canyon Village airport, a pink jeep and our guide was waiting for us. Although the jeep looks like it might be chilly, in 50 degree weather, it cozy thanks to lap blankets and a strong heater. We stopped at several of the Grand Canyon overlooks. During our tour, we enjoyed a bag lunch provided by Pink Jeep Tours in the historic lobby of El Tovar. Hopi House, our guide explained that it was designed by Mary Colter researched native people and their architecture and designed much of the park based on her research. Arizona, where the only human evidence is dirt tracks through the landscape.